Internationally renowned classical concert pianist Joyce Yang recently visited Belmont to perform in the annual Woods Piano Concert Series on September 28 in McAfee Concert Hall. 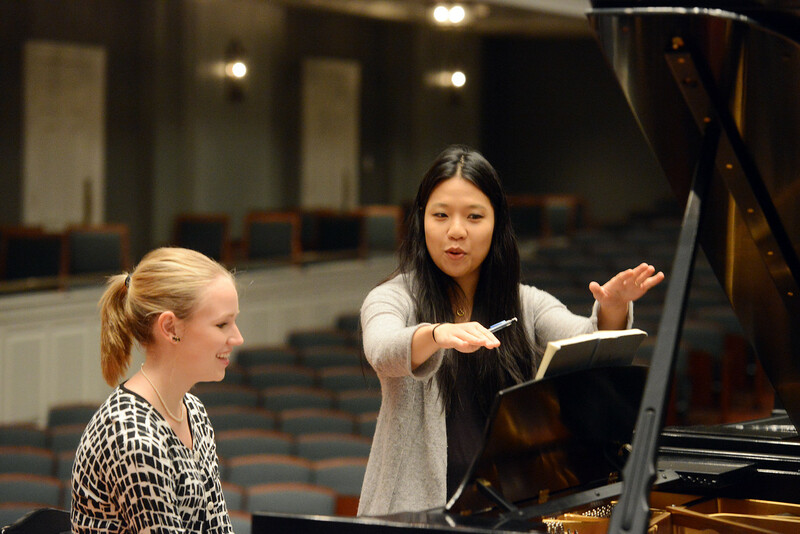 The day after, Yang came back to campus to lead a master class of piano students, offering the chance to individually play a piece of music and receive her comments and suggestions for improvement. The master class was also held in McAfee Concert Hall. Yang is well-known locally and throughout the world for her achievements as a classical concert pianist. She received the silver medal award in the Cliburn International Piano Competition in 2005 and plays roughly 100 concerts each year all over the world. Yang has played several piano concertos with the Nashville Symphony and will be returning to Nashville to play with them again in 2017. The Woods Piano Concert Series began in 2010 and has allowed Belmont to host a significant classical concert pianist each year since. The pianist comes to campus to perform a solo concert and also teaches a master class with piano students in the School of Music. The series aims to honor the legacy of Merrydale Woods, who was a piano teacher, long-time Nashville resident and the benefactor behind Belmont’s becoming an “All-Steinway School” in 2008.